Former Russian high-ranking investigator’s sentence for bribery takes effect | Russian Legal Information Agency (RAPSI). 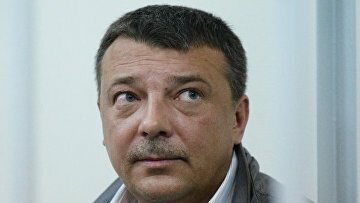 MOSCOW, July 31 (RAPSI, Yulia Glozman) – The Supreme Court of Russia on Tuesday upheld a 13-year prison sentence passed on the former chief of the Investigative Committee’s Internal Security Directorate Mikhail Maksimenko for corruption, RAPSI reports from the courtroom. The sentence therefore came into force. The defendant has been arrested along with other high-ranking investigators, his deputy Alexander Lamonov and the First Deputy Head of the Investigative Committee’s Moscow Directorate, General Denis Nikandrov.